If you only like music with lyrics in English, you will want to sit this one out. However, that will be a big mistake. 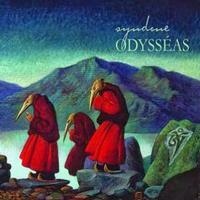 The latest disc from this Italian progressive rock band, Odysseas is stunning. It runs the gamut from traditional Italian prog, fusion, more mainstream progressive rock and lots more. It never feels tired or repetitive and everything here works. This is a great album. Frankly, it doesn’t bother me one bit that I can’t understand the words. The music and performance overcome any language barrier. They start this instrumental piece with a playful bit of progressive rock. From there it works out to something that makes me think of ELP doing fusion. The piece continues to evolve from there, moving into more pure prog rock. Then Zappa-like fusion takes control. They move out to some dramatic and powerful progressive rock from there. The changes continue as this works forever forward. The closing section is definitely ELP like. Spanish styled acoustic guitar opens this. As the vocals come over the top, it’s gentle and a bit like an Italian prog take on Genesis to my ears. However, as the acoustic guitar and vocal based arrangement continues, this feels more like classical music meets old world folk. 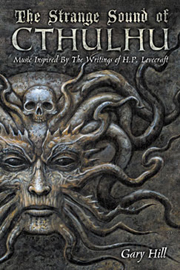 That holds it for quite a time with symphonic elements heard at times. Then piano takes over, though and eventually it shifts out to a short symphonic prog jam. From there, though, they bring it back down to purely classical music before returning to just piano for the return of the vocals. That section closes it. The progressive rock elements that open this again make me think of Genesis, but more the rocking groove side of that band. That doesn’t hold it for long, though. Instead, they turn out to a really hard rocking jam that’s got a lot of jazz in the mix. This is awesome. In fact, it’s one of the coolest sections of the whole disc. Horns add a lot to the power of the arrangements, but the vocals really belt it out, too. It doesn’t matter one bit that I don’t have a clue what he’s singing about. There is a drop later to mellower sounds for a time. Then it blasts back out before some vibes bring it into a really jazzy section. Some organ shows off over the top and then horns drive it. They bring it back out into the song proper and just plain scream through it. That segment takes this out in style. World based acoustic music starts this. The singing that comes over the top fits that concept, as well. Around the one minute mark it drops to piano and begins to evolve from there. The piano gets quite classical as it moves forward. There is a little bit of Spanish guitar before the piano takes it into an old time music section that serves as the backdrop for the vocals. This is a lot like some of the old music concepts Queen used to do. Some classical piano takes over late to create the closing section. Jazz and killer progressive rock are the concepts that drive the opening jam here. There is some impressive bass work and some awesome piano playing on this. It gets into some rather crazed territory at times, too. This instrumental is pretty straightforward. It’s very definitely a marriage of rock and jazz. It’s also very definitely cool. Keyboards open this in a very mellow style and hold it that way for a while. After a time, though, it gets more sound in the mix, developing as an unusual, but very compelling progressive rock jam. It moves forward deliberately with the changes happening fairly organically. Yet there are some surprises. There are symphonic elements in the mix as this continues. The vocals really seem impassioned and powerful. An ELP-like jam emerges later. A keyboard solo section reinforces that. Yet, somehow, I’m also reminded of Zappa a bit. The vocals, though, land it more purely in the Italian prog territory. A mellower section emerges at the end with piano serving as the backdrop for whispered vocals. Keyboards (again reminding me of ELP) open this one. The piece works out from there in an energized prog meets fusion jam. Emerson, Lake and Palmer is a valid reference point as that works forward. This instrumental carries on much the same until some noisy sound ends it. Jazzy keyboards serve as the backdrop for the vocals here. This is odd, but also compelling. A more mainstream prog jam emerges for a time. Then they work it to something closer to Rock in Opposition. This thing just keeps changing, though. Different themes seem to return to be reworked. They drop it way down after a time to just keyboards and it grows back out from there. Then a powerhouse jam takes it. Eventually the vocals return and the piece just keeps shifting and evolving. The piece gets a really jazzy keyboard workout later. That section almost seems to transition us into the next piece. Keyboards almost seem to continue from the last song at the start of this. From there we’re taken into another movement that makes me think of Queen a bit. Then the ELP references seem to return. As that works out toward triumphant sounding progressive rock, it gets quite intense. I really love some of the instrumental work on this thing. At times things get a little weird, particularly when it drops down to just keyboards and some odd vocals. Still, the fusion that rises up afterward is nothing but spectacular. They eventually bring it back to a bit of Italian prog singing to take us out. Noisier rock sounds start this off in a rather chaotic way. As keyboards join ELP is again a good reference. Some harder rocking vocals (calling to mind Freddie Mercury emerge). They work this into a more mainstream progressive rock jam, but the vocals shift towards more traditional Italian prog ones. As the piece continues to evolve, the more rocking Mercury-esque vocals are merged with that. This is a fairly short cut, though as that segment takes it out. Symphonic elements open this and grow up in dramatic and pretty ways. It drops to piano and almost operatic vocals are heard over the top. As this grows, there are hints of Queen again. Keyboards take a more prominent role in dramatic ways later. As the piano takes over it becomes quite classical in nature. That section takes it to the end. Jazzy keyboards start this one off and it grows gradually from there. It never grows too far, though as this is essentially a fairly short keyboard solo. Mid-tempo jazzy progressive rock starts things here. The vocals come over the top of that in a very traditional Italian prog arrangement. That builds out for a time, getting more purely rocking as it goes. Then it drops way down for a mellow musical excursion. It bursts forward from there in a mid-tempo jam that’s part melodic progressive rock and part jazz. Vocals come over the top in a more mainstream prog way. It continues to get more evocative and powerful as they work forward. That takes us to a crescendo to end the song and the album in style.